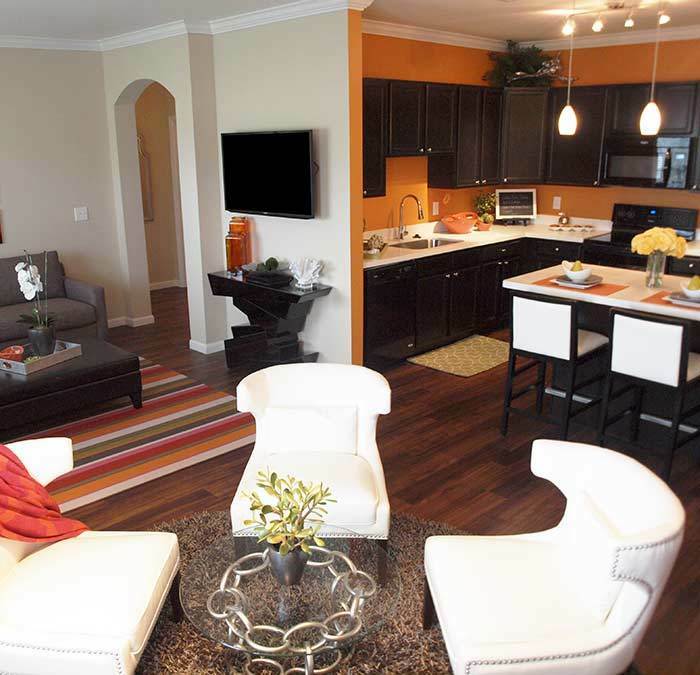 Interested in getting on our WaitList for floor plans currently not available? Click Here! Kendal on Taylorsville offers brand-new apartments and townhomes in Jeffersontown, Kentucky. Our wide range of floor plans includes one and two bedroom apartment homes as well as three bedroom townhomes with attached garages. Every home includes luxury finishes such as nine-foot ceilings, quartz countertops, wood grain flooring, and 42-inch cabinets. Whether you love to entertain or view your home as a sanctuary from the world, our apartments and townhomes will meet your needs. Imagine whipping up a meal for friends in your gourmet kitchen with all the necessary appliances or unwinding after a long day with a glass of wine and views of our beautifully manicured grounds. Our community amenities are just as outstanding. Soak up the sun next to our resort-style pool then enjoy a barbeque with friends at one of our outdoor grills. Forget fighting the crowds at your current gym and work up a sweat in our fully outfitted fitness center. Our convenient location off of Taylorsville Road between Gene Snyder Freeway and Sweeney Lane in Jeffersontown offers an easy commute to downtown Louisville and is minutes from a Kroger and a Starbucks. Vibrant downtown Jeffersontown offers a wonderful Farmer's Market as well as numerous restaurants, museums, and shopping. Come home to Kendal on Taylorsville, where the homes are luxurious and green spaces abound. Call today to schedule your private tour.